If you watch a lot of phone reviews and durability test videos on YouTube then you probably must have heard of the name "JerryRigEverything". 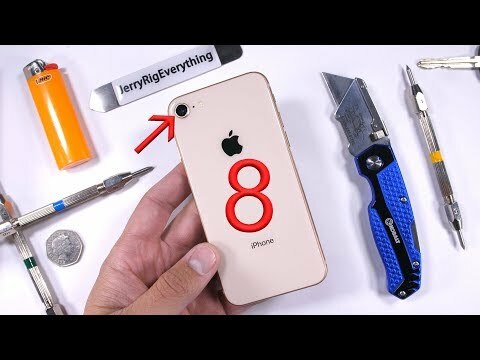 For those who don't know, he is a popular YouTuber who specializes in putting high end Smartphones through his series of durability test which involves scratch, bend and burn test just to see how well they hold. The latest victim of his durability test is the recently launched iPhone 8. As most of us already know, the new iPhone 8 share a lot of physical similarities with it's predecessor which is the iPhone 7 but one noticeable difference is the new glass back. The glass on the front and back of the new iPhone 8 passed his scratch test as it has the same level of scratch-resistance of the iPhone 7 and most other high-end smartphones including the Samsung's Galaxy Note 8. 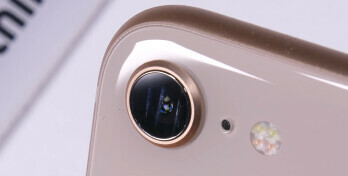 The rear camera on the other hand scratched easily even though Apple claimed the camera lens was protected by Sapphire glass. For the bend test, the iPhone 8 really hold up to the bend pressure from both the front and back unlike the iPhone 7 that got it's water-resistance adhesive damages during the test. You can check out the full 6 minutes durability test video from the link above. Bros, that video is rated 18+ and am sure Jerry must be a pro at breaking the ladies heart.